Insiders are railing against media accounts of intelligence maneuvers—and blaming Washington. By Eli Lake. The latest such leak appeared March 28 on Foreign Policy magazine’s website, claiming that Israel had been granted secret access to airbases in Azerbaijan near Iran’s northern border. The piece was sourced to senior U.S. diplomats and military-intelligence officers. McDonough told the Jewish leaders that he personally abhors leaks and that he did not know the sources for the article. He also said he wouldn’t—or couldn’t—confirm the report. “The policy is to press the Iranians, not the Israelis,” McDonough said, according to the notes. The Foreign Policy piece was written by Mark Perry, a journalist and author who specializes in intelligence and military matters. He has reported a series of exclusives about the U.S.-Israel relationship, including a piece this year that claimed Israeli Mossad officers were posing as CIA officers to recruit Iranian opposition figures for operations in Iran. The Daily Beast was not able to confirm the report. Perry has provided counsel to the Palestinian side of the Arab-Israeli conflict. Between 1989 and 2004, he served as an unofficial and unpaid adviser to Yassir Arafat. 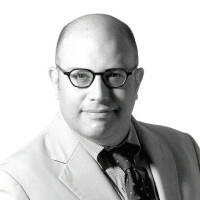 After that he became the codirector of Conflicts Forum, a nongovernmental organization that specializes in bringing journalists and policymakers into contact with groups throughout the Middle East and South Asia that have been designated by the State Department as foreign terrorist organizations, such as Hezbollah. In 2009 he left that group after his codirector Alastair Crooke, a retired British MI6 officer, wrote an op-ed questioning whether the Iranian regime had really killed Neda, the iconic Iranian woman protester whose death was captured on YouTube. Leaks from both the Israeli and U.S. defense and intelligence communities have been a treasure trove in the last year for national-security reporters. The Daily Beast, for example, in November reported details of Israel’s electronic war capabilities against Iran. But the latest report comes after last month’s state visit to Washington by Israeli Prime Minister Benjamin Netanyahu. Both U.S. and Israeli officials have characterized those meetings as successful. In their wake, Israel has, for example, started sharing more of its military-planning data with the United States. And President Obama pleased Israel by declaring that it is U.S. policy to prevent Iran from obtaining nuclear weapons, not to contain an Iran that has obtained such weapons. “The administration has been unequivocal about Israel’s right to defend itself and the United States has done more to bolster Israel’s defense through the foreign military financing of $3 billion a year and done more than any country in the world,” a senior administration official said.